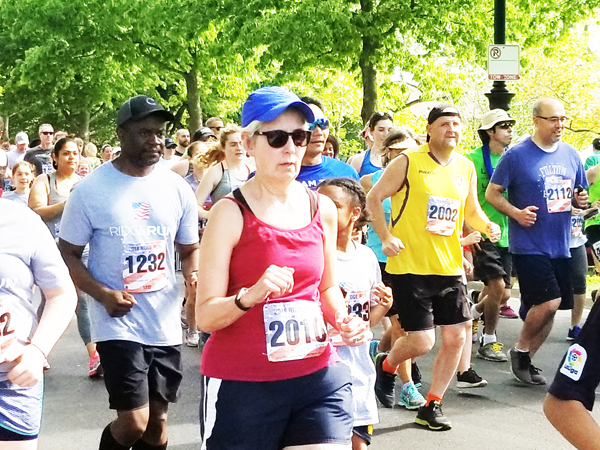 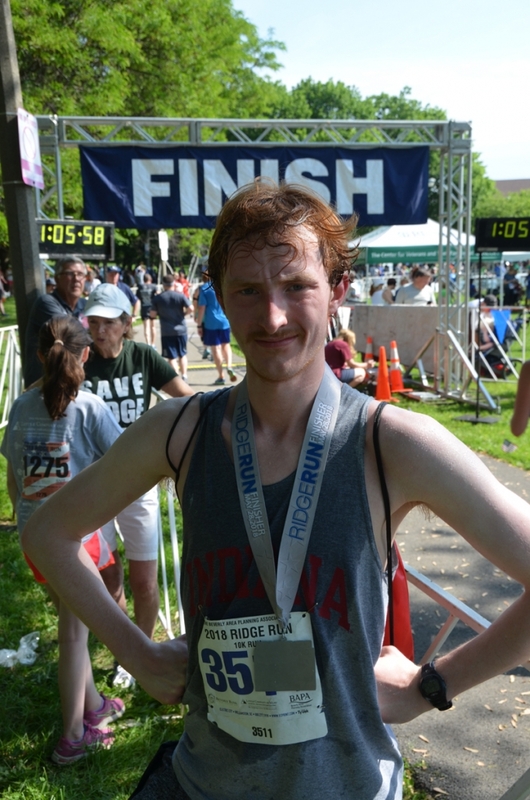 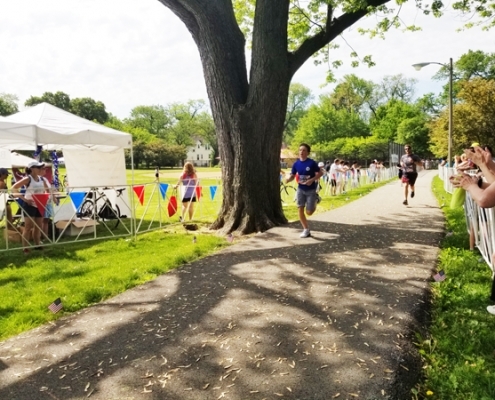 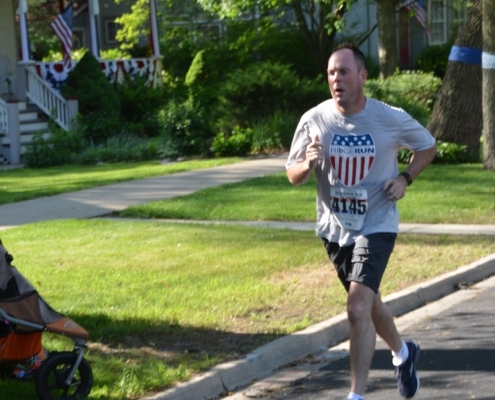 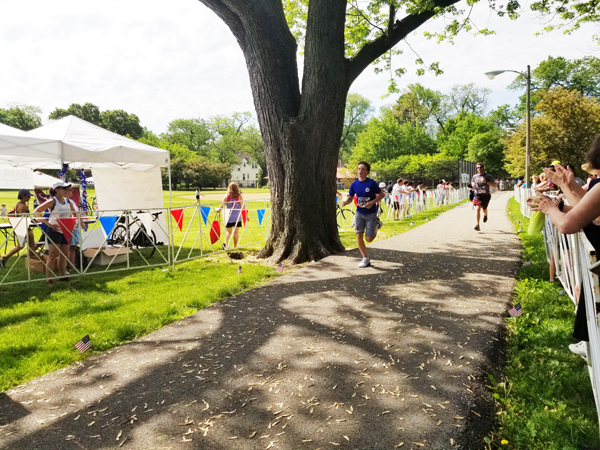 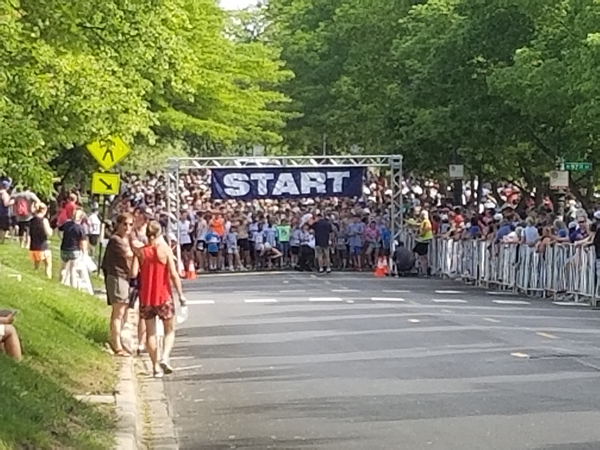 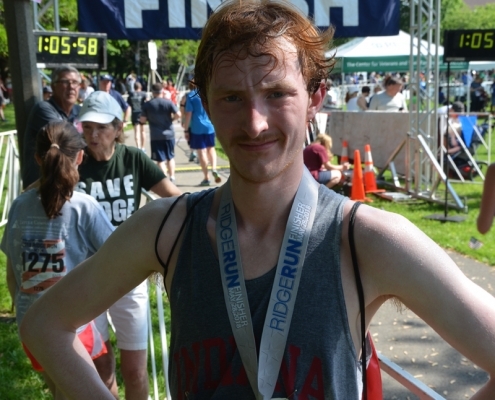 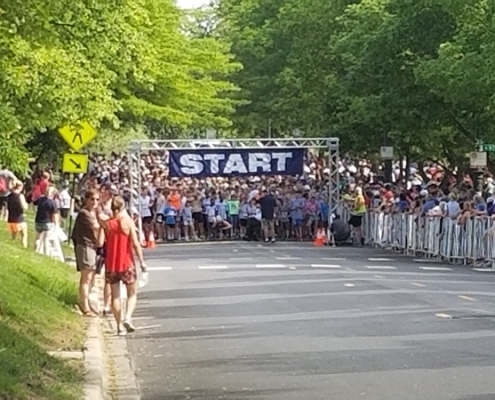 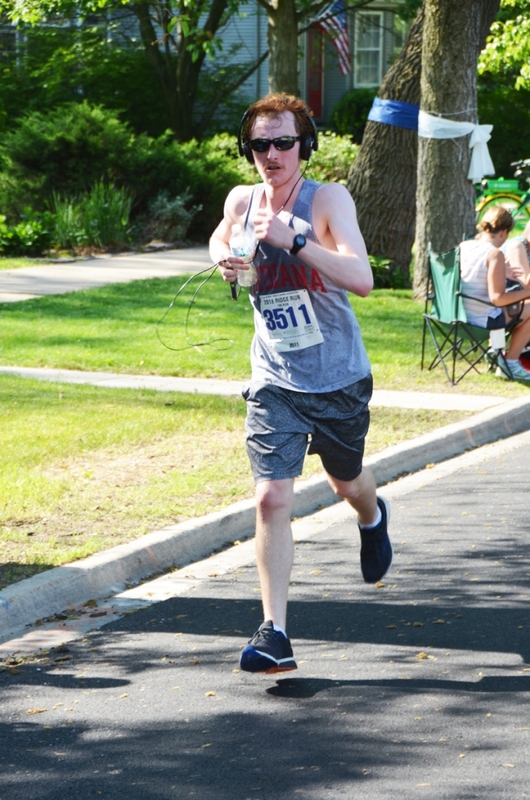 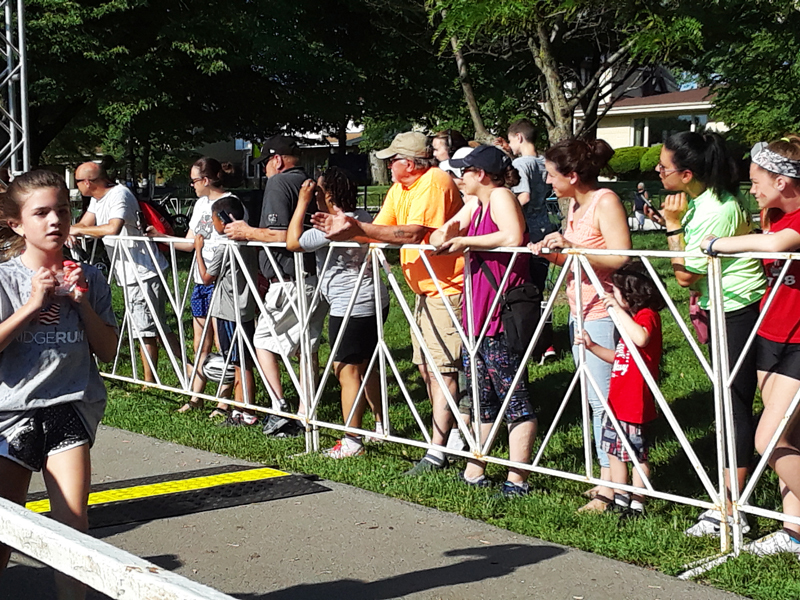 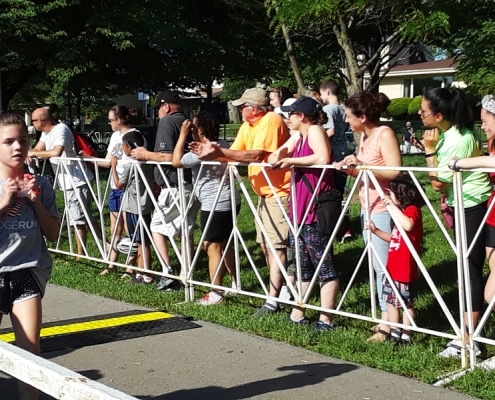 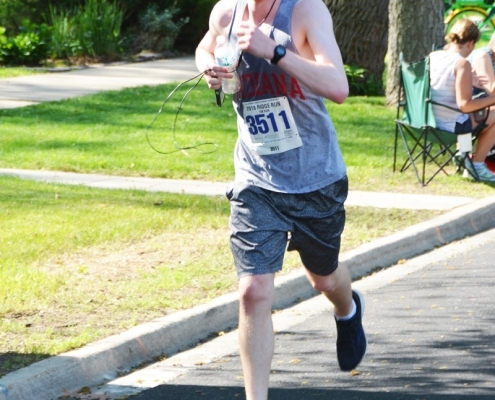 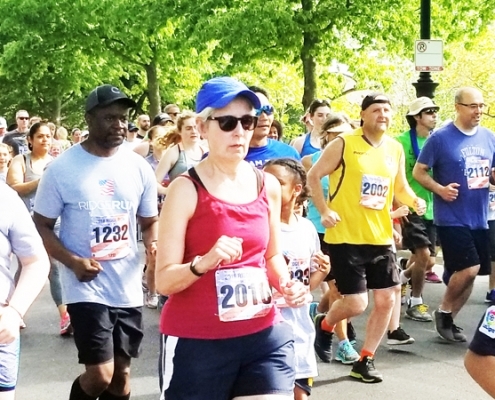 “Record high heat” were the last words runners in the Beverly Area Planning Association (BAPA) 41st Annual Ridge Run wanted to hear on the morning of Memorial Day, Mon., May 28. 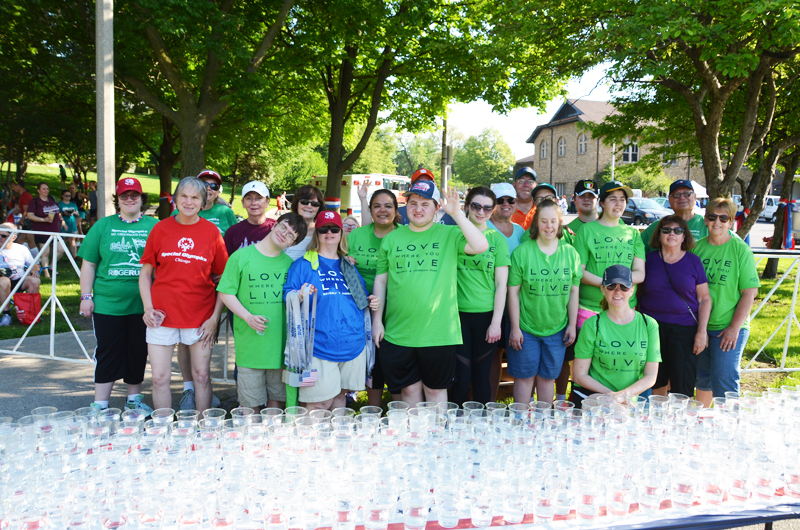 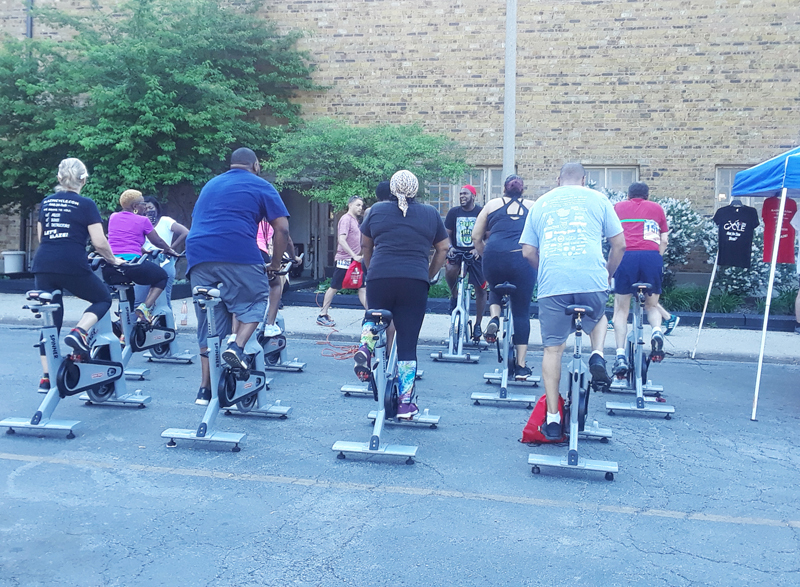 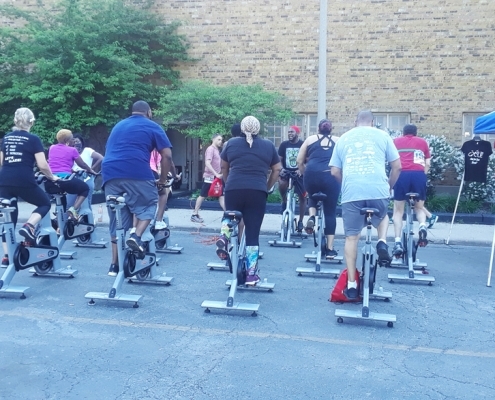 But BAPA staff and volunteers and the skilled medical team from race presenting sponsor Little Company of Mary Hospital and led by neighborhood resident Dr. Ginny Hendricks were well prepared with water, ice, cooling towels and constant reminders to be mindful of the hot temperatures. 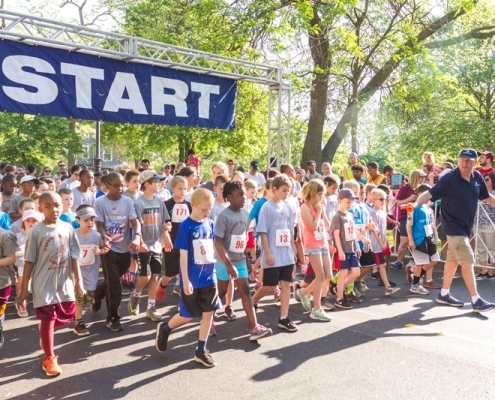 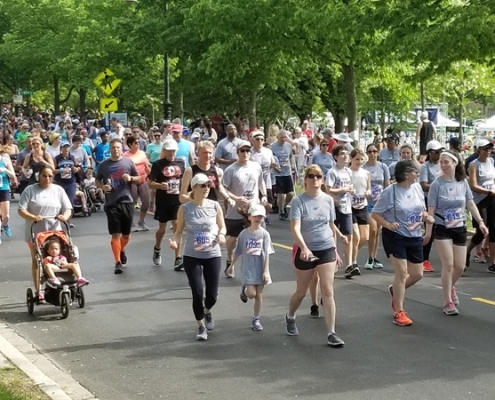 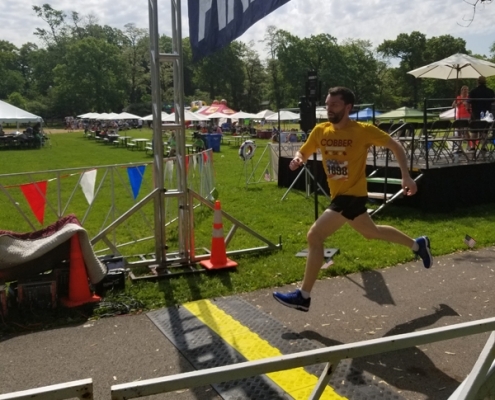 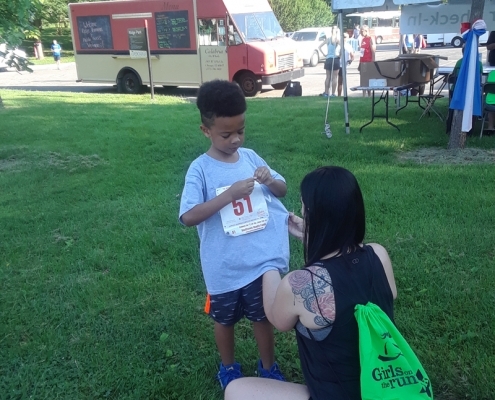 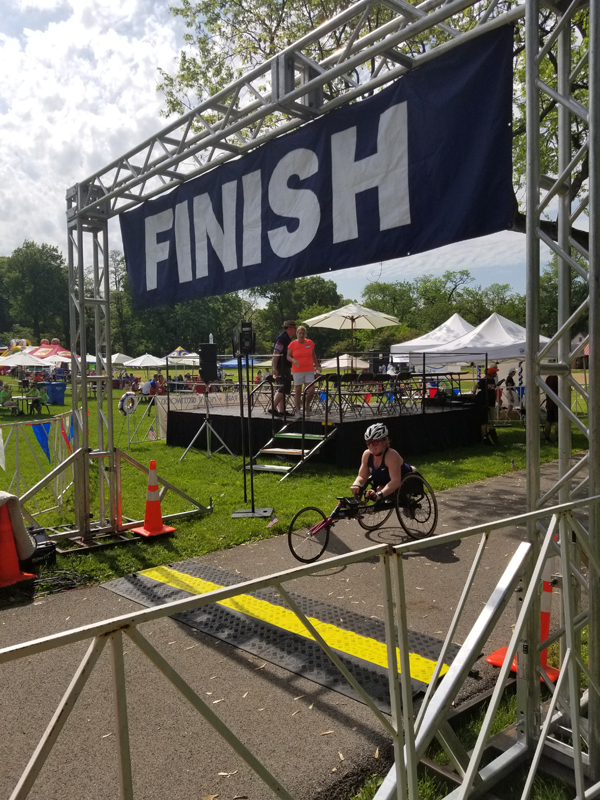 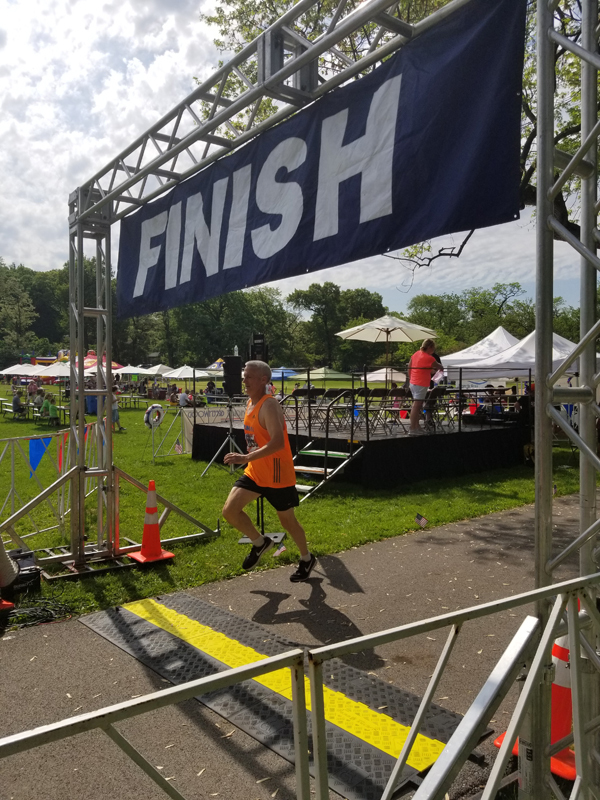 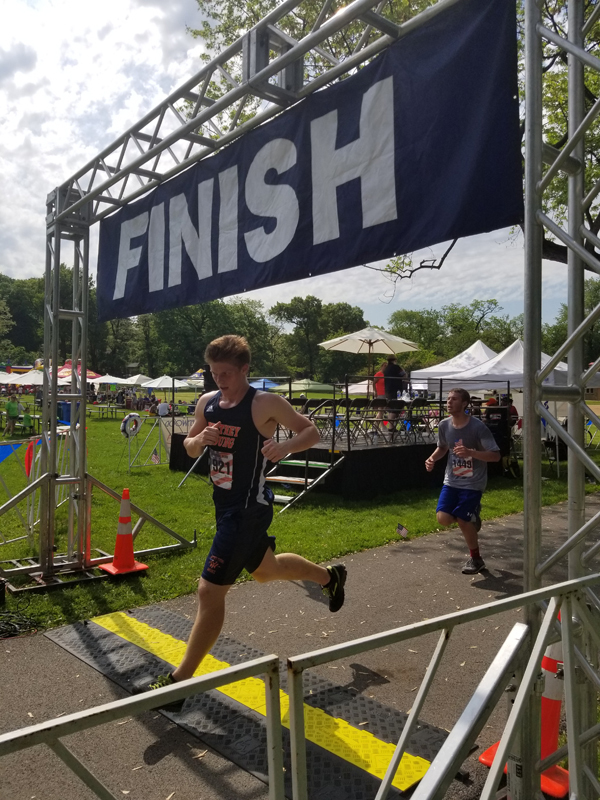 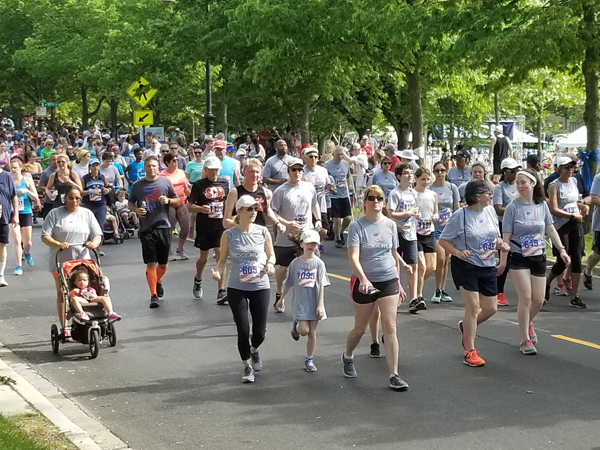 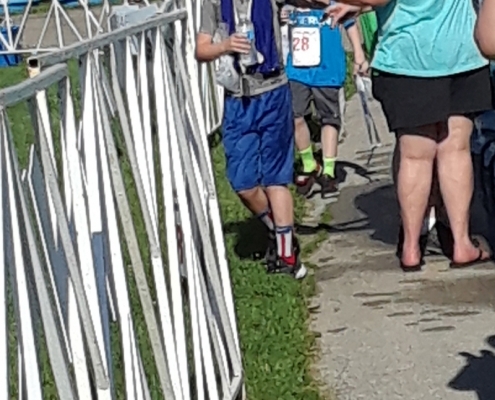 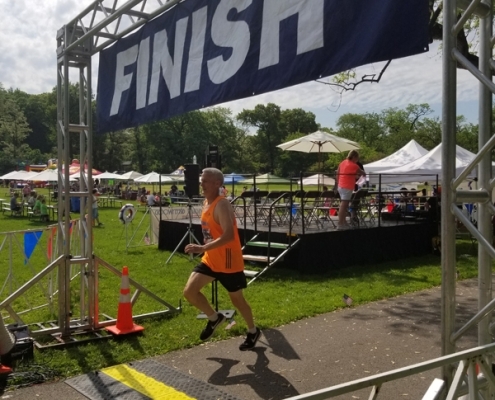 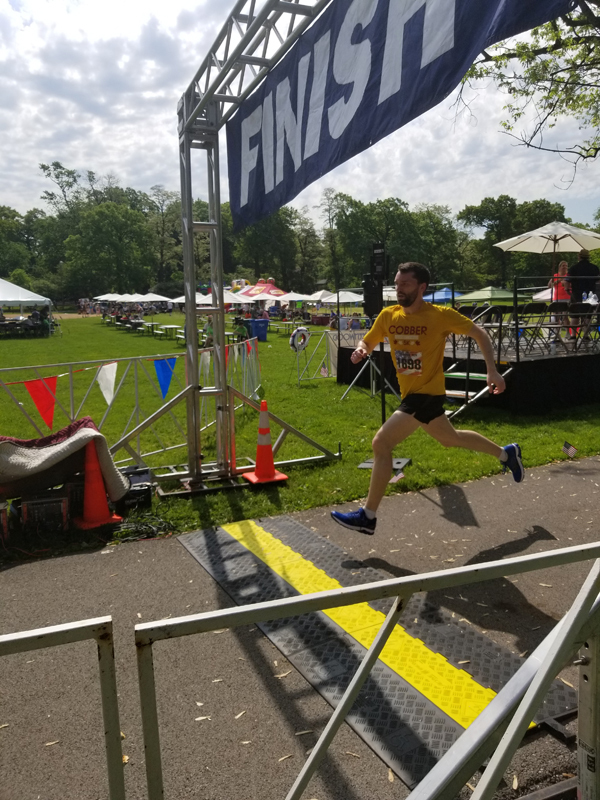 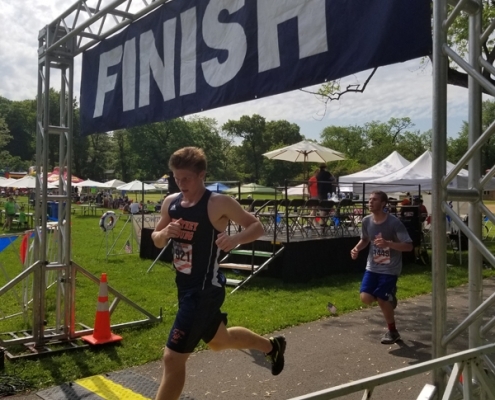 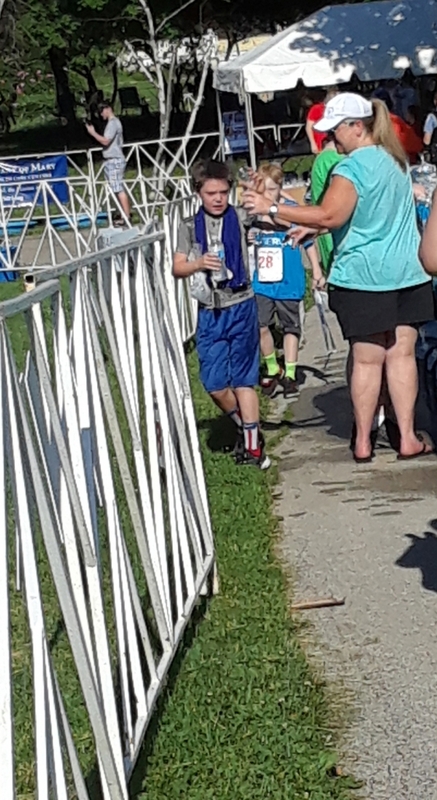 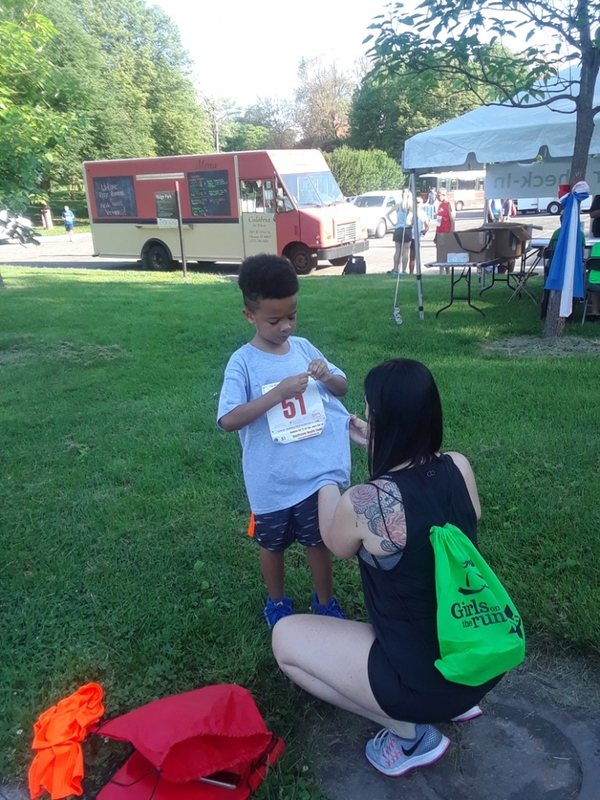 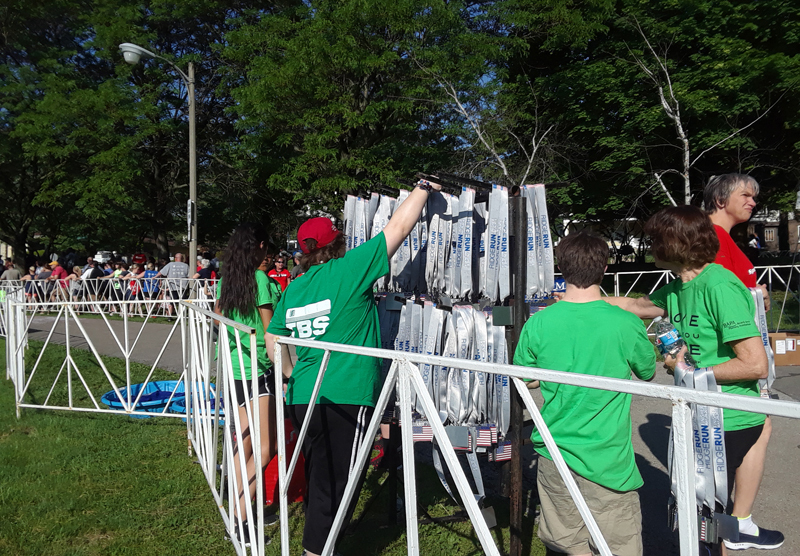 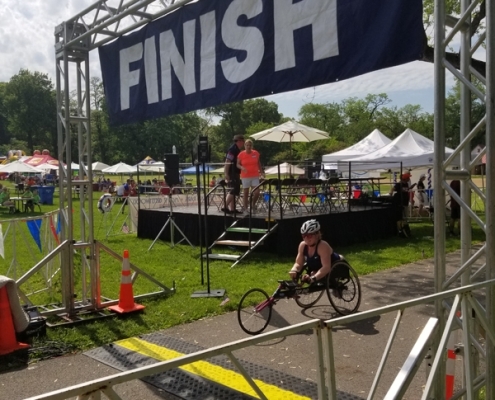 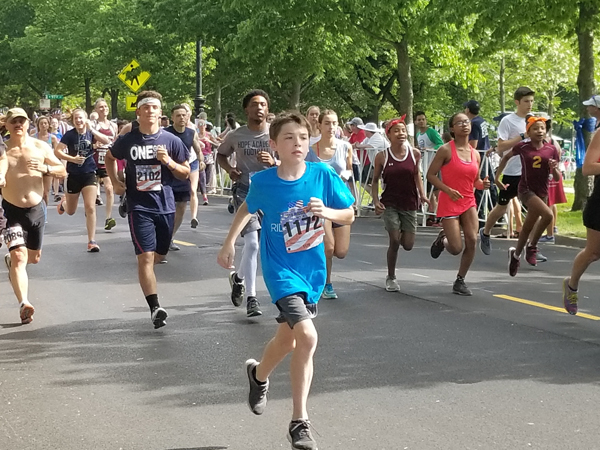 More than 2000 runners participated in the 10K, 5K run, 5K walk, 10K-5K Challenge and Youth Mile on Monday morning, and everyone received a finisher’s medal, and the top three winners in each age group in the 10K and 5K run received an additional award. 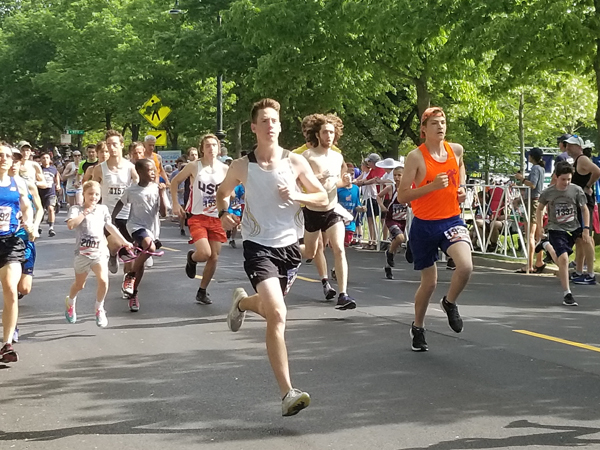 The 5K walk and Youth Mile are not timed. 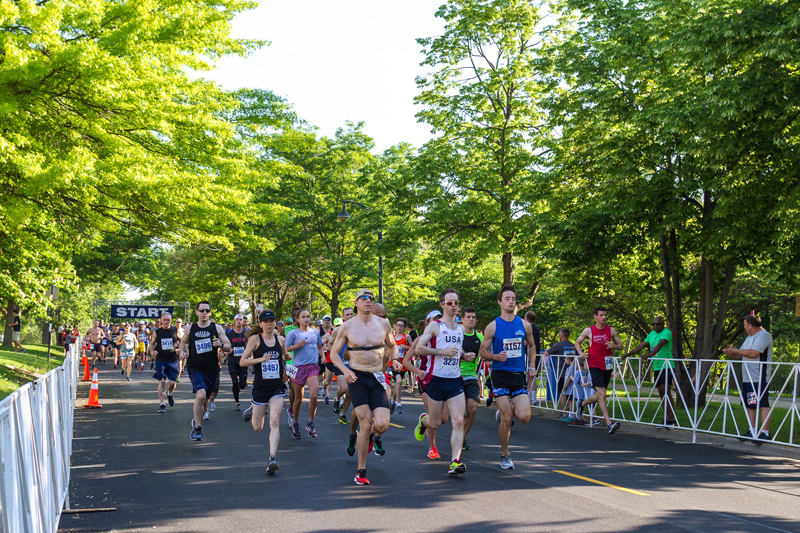 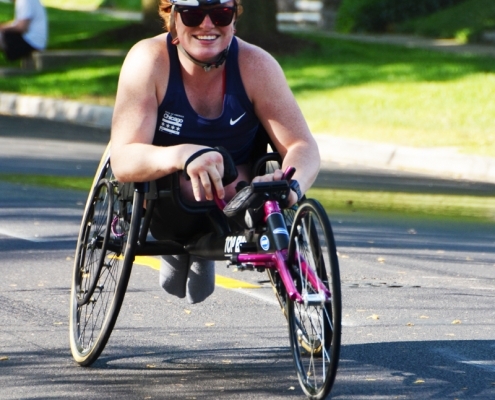 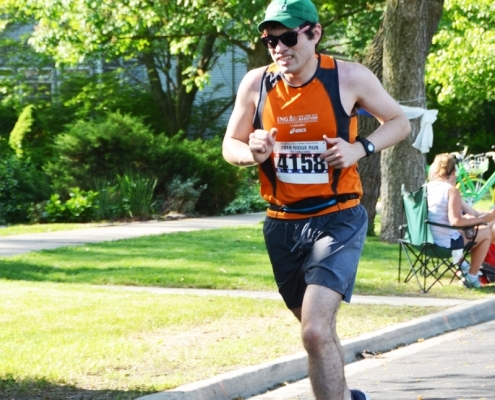 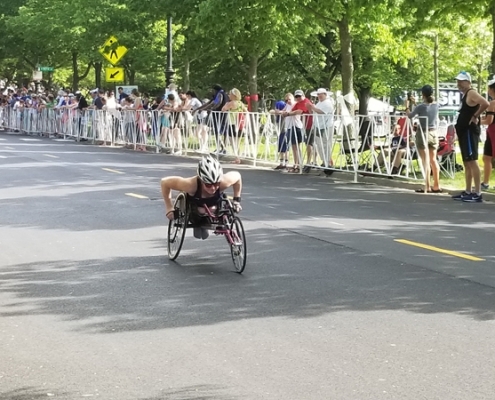 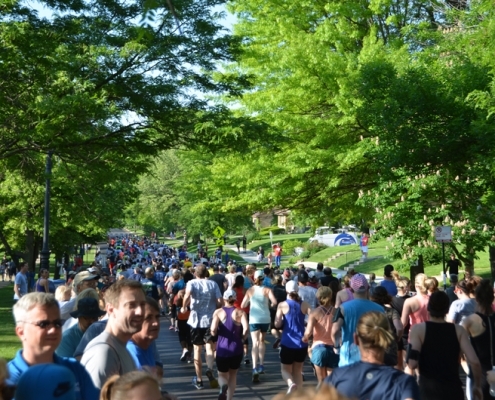 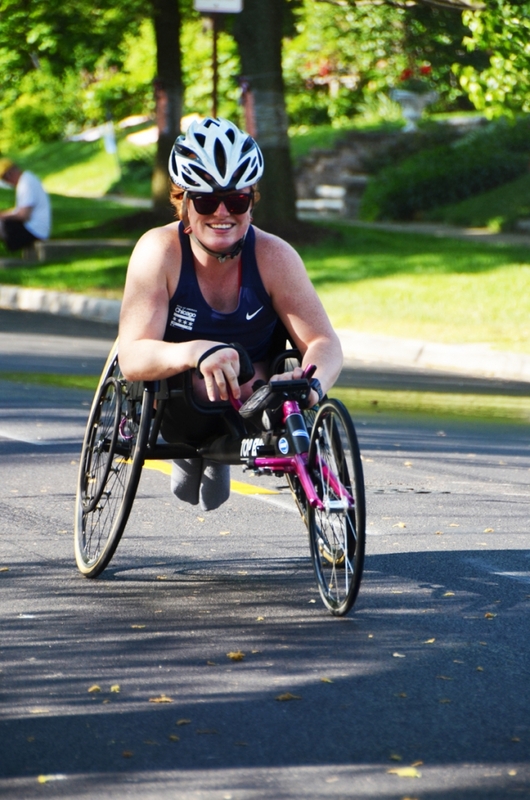 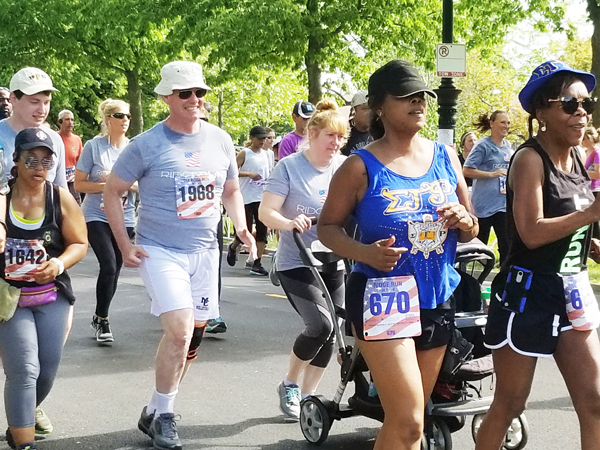 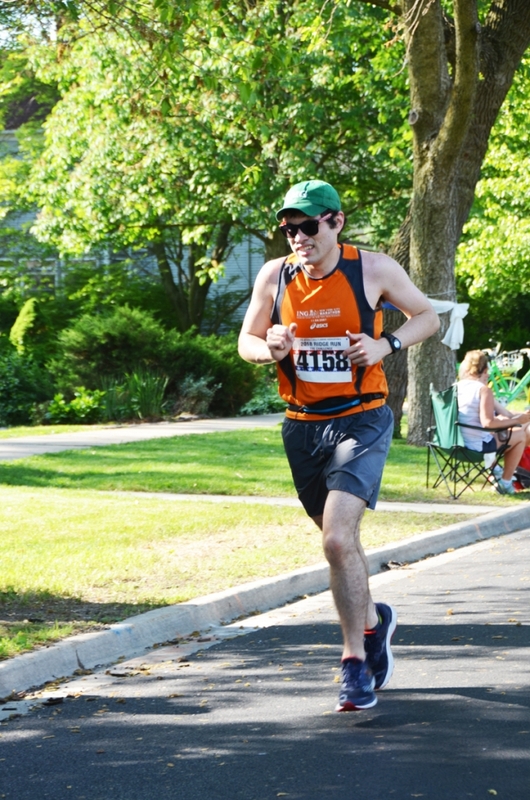 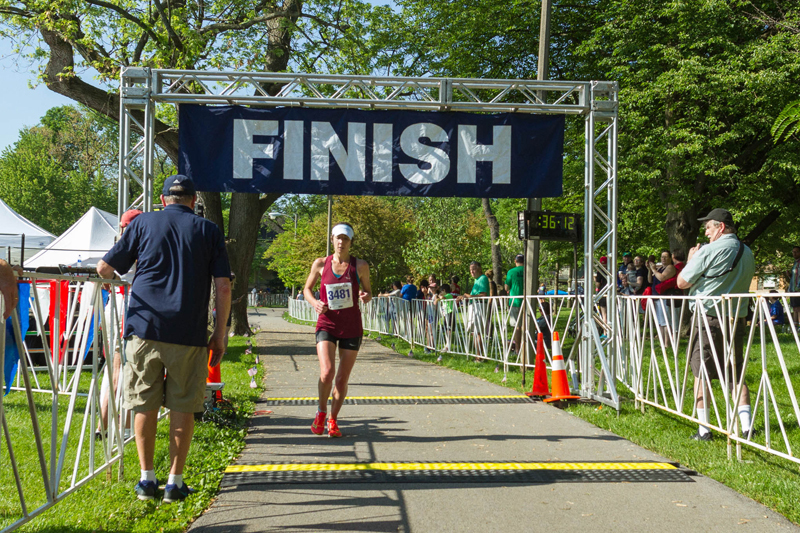 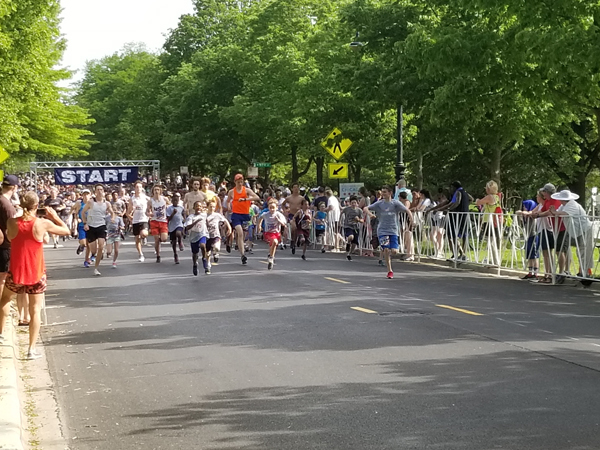 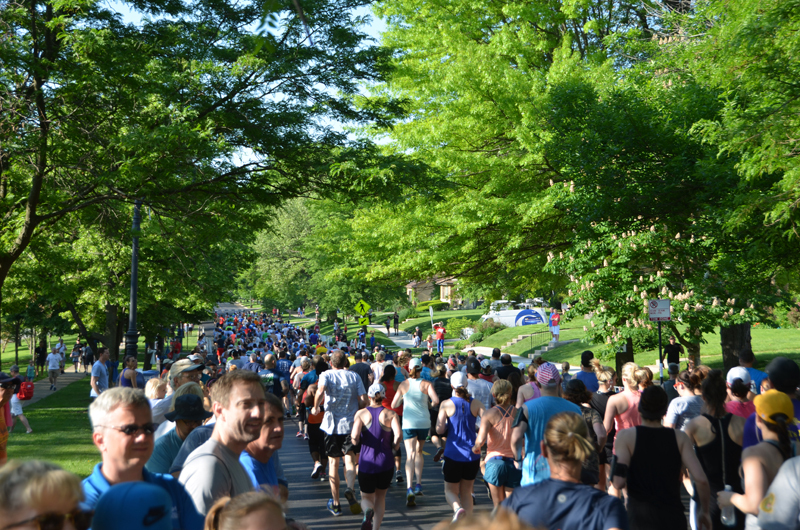 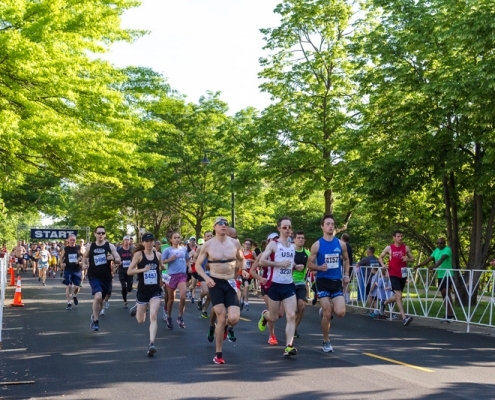 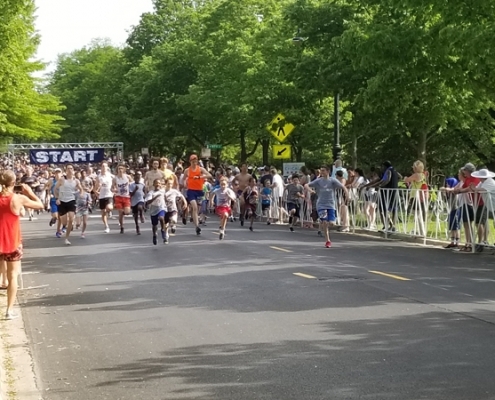 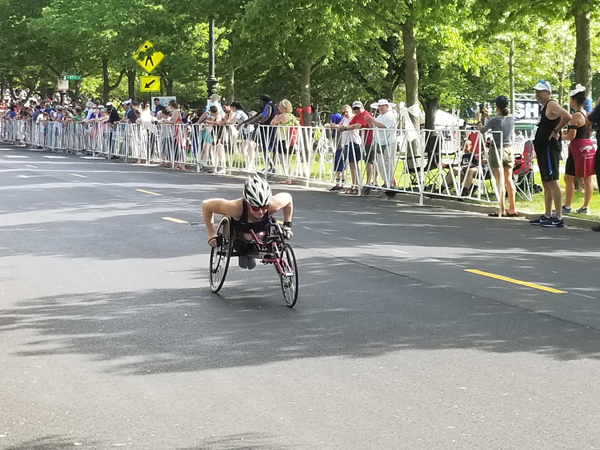 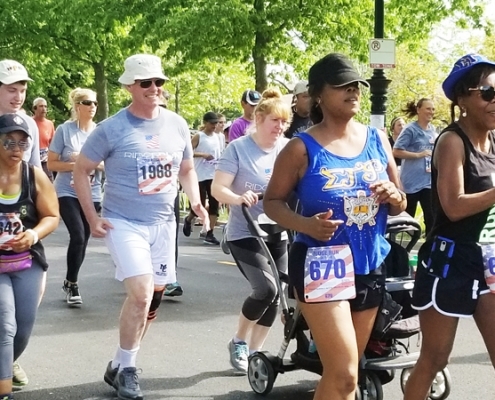 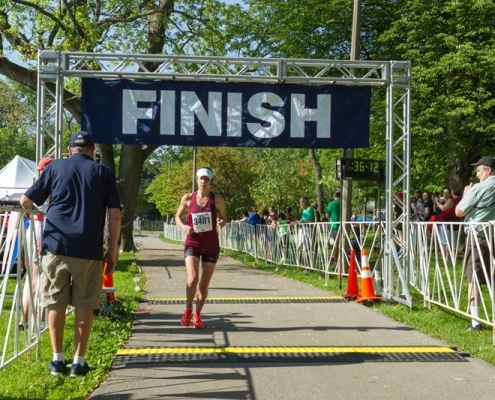 Widely regarded as Chicago’s favorite neighborhood race, the Ridge Run route winds through the historic Beverly/Morgan Park residential neighborhood and up the steep grades of the Blue Island Ridge, the highest hill in the city. 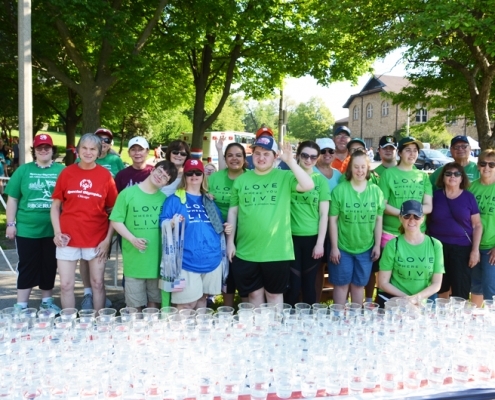 All along the route volunteers and residents were helping to keep runners cool, serving water and offering a cool down from garden hoses. 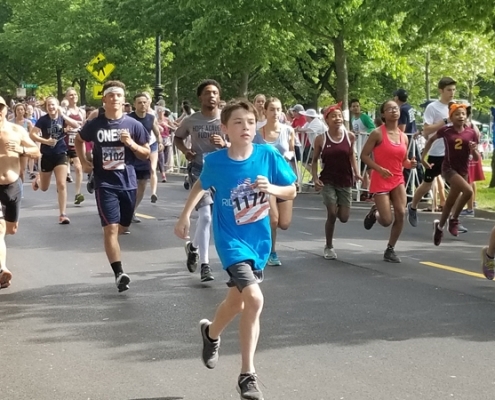 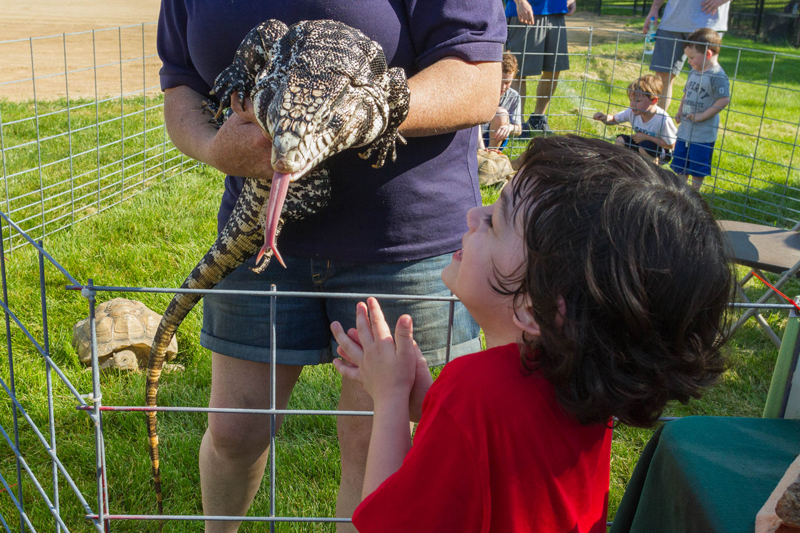 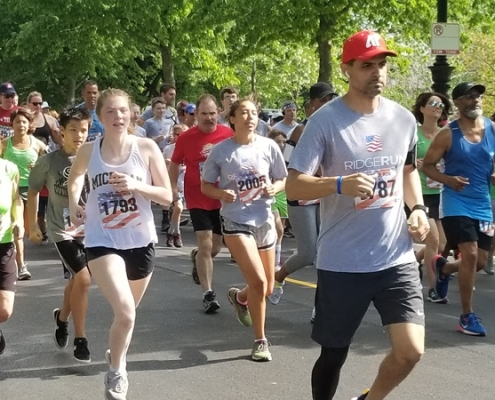 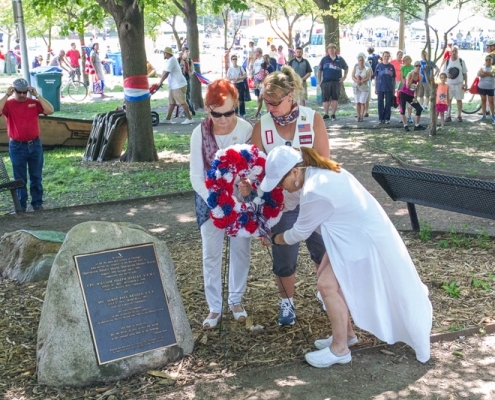 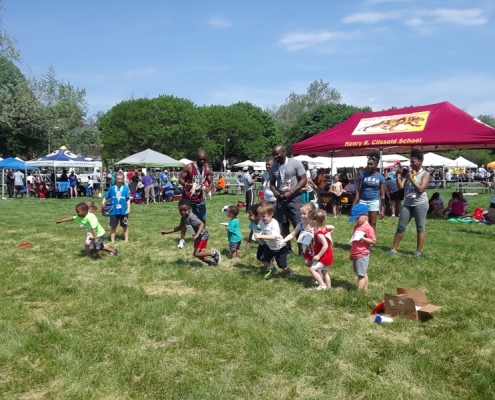 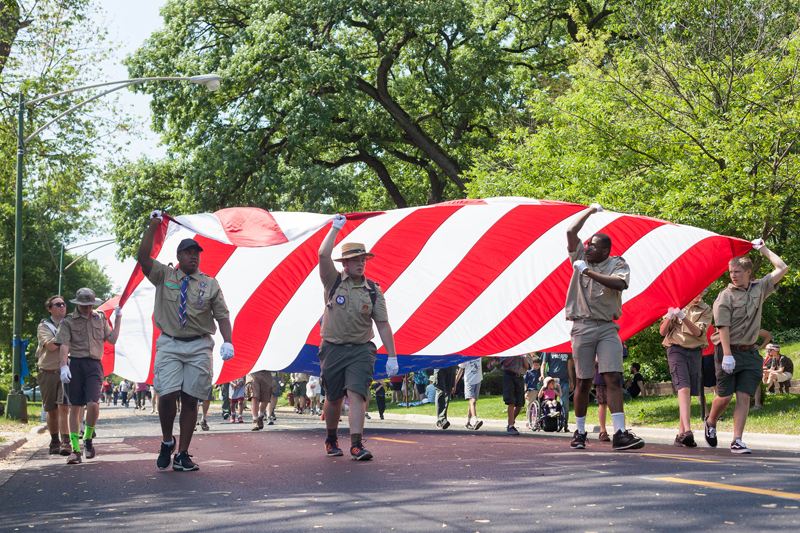 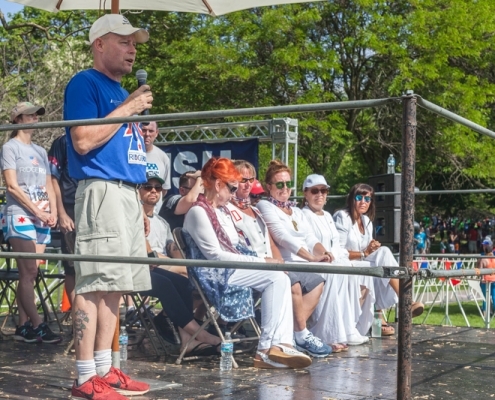 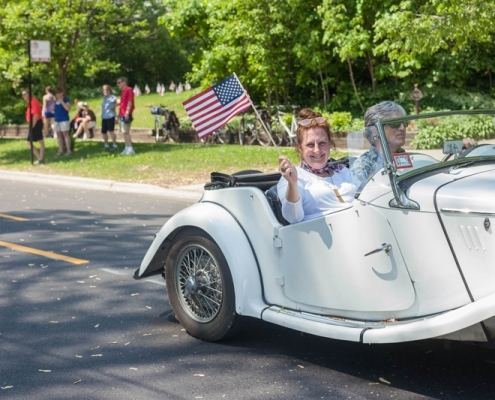 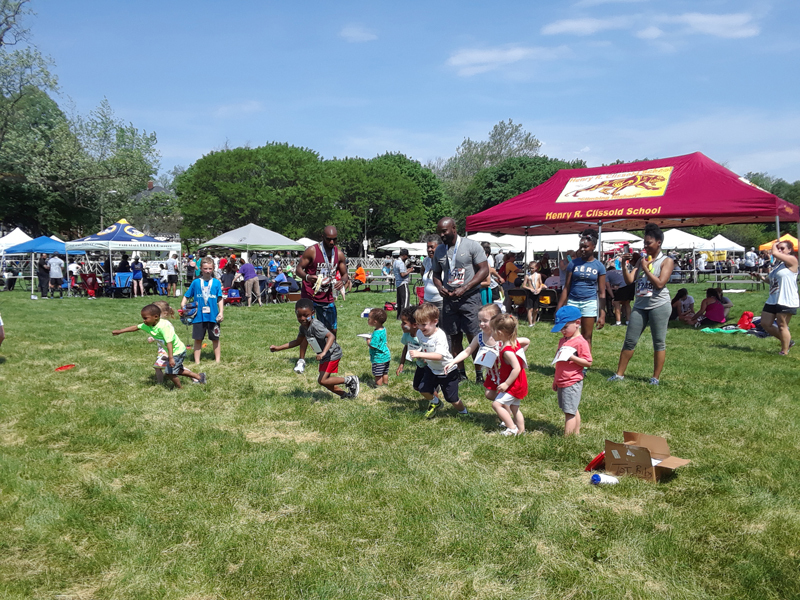 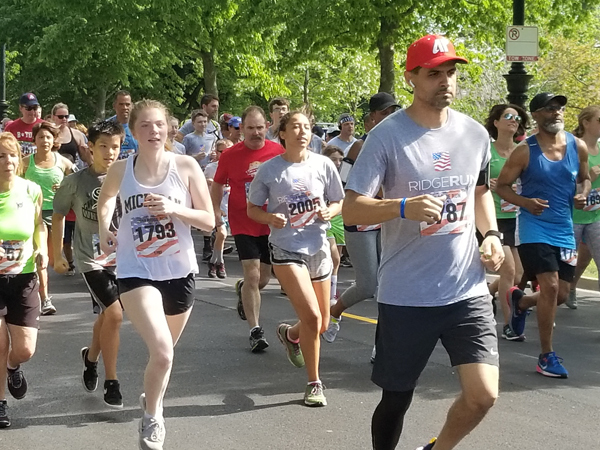 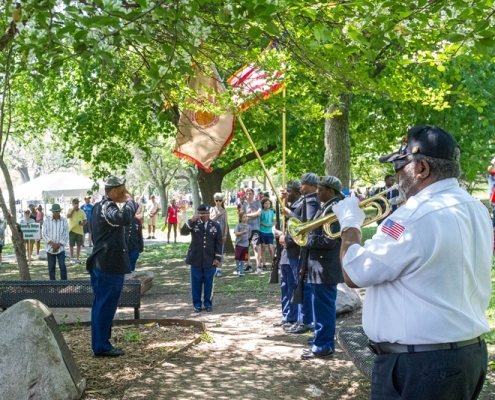 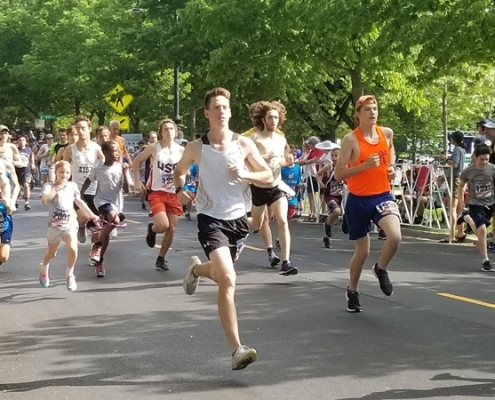 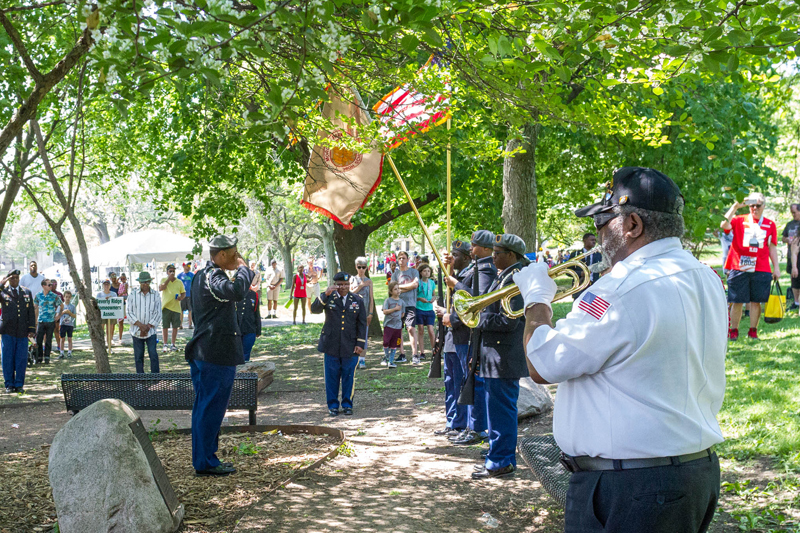 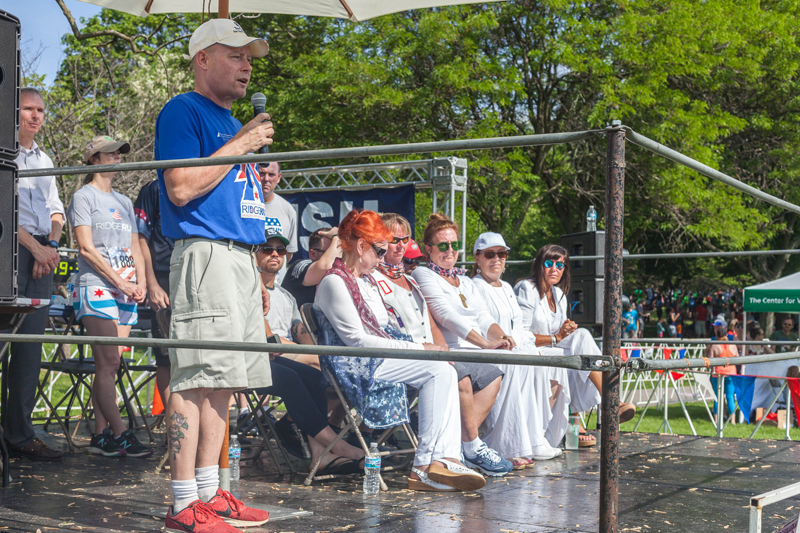 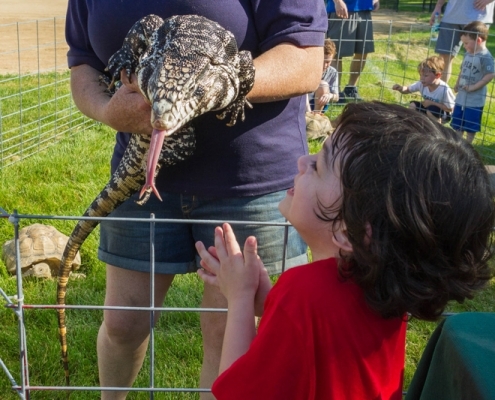 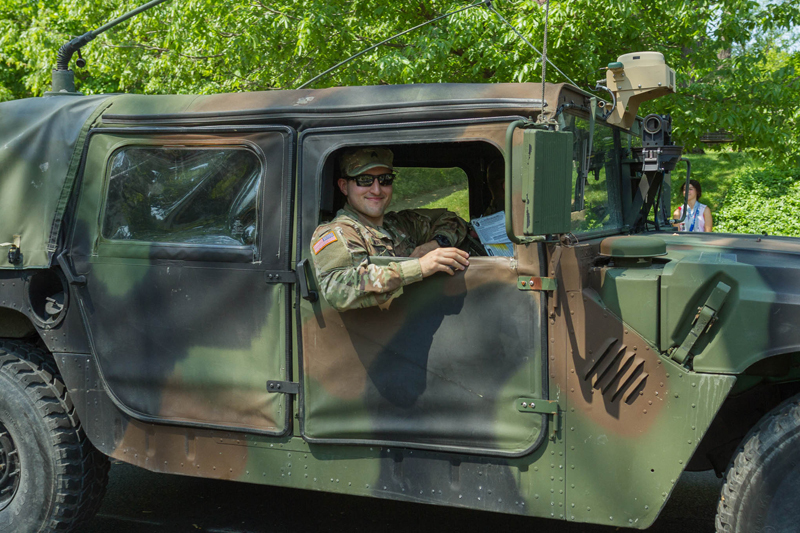 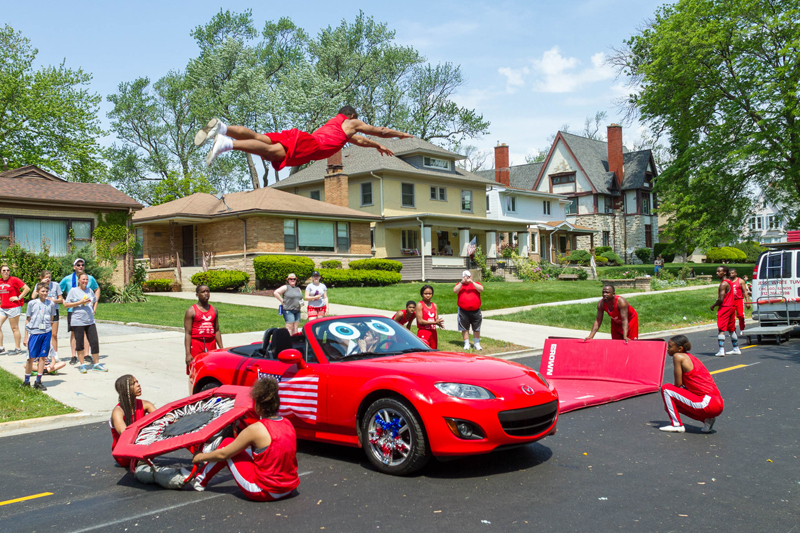 The Beverly/Morgan Park/Mount Greenwood Memorial Day Ceremony and Parade share the day with the Ridge Run, and provide a focus on the true meaning of the day. 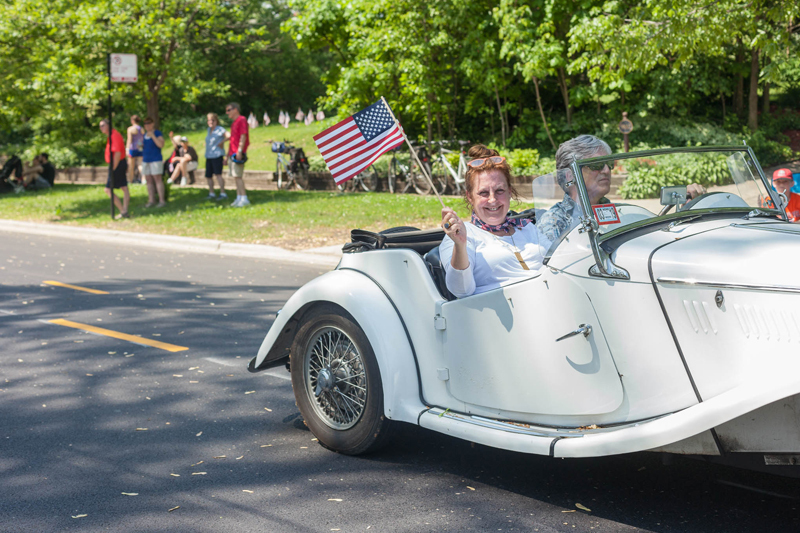 The American Gold Star Mothers were the parade Grand Marshals. 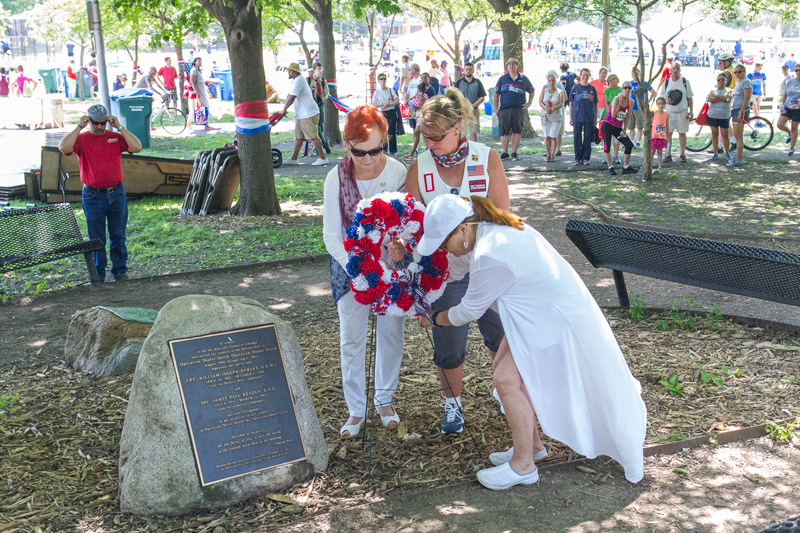 Gold Star mothers have lost a child in military service. 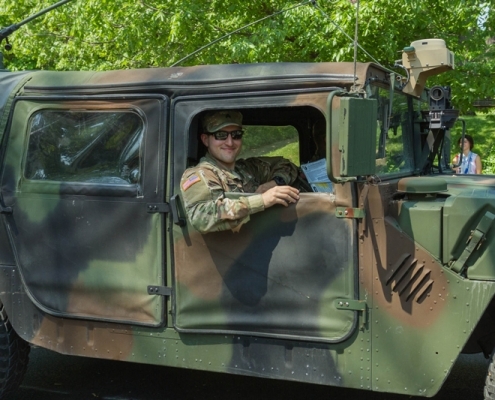 The group, founded in 1928, is dedicating to serving military personnel and their families. 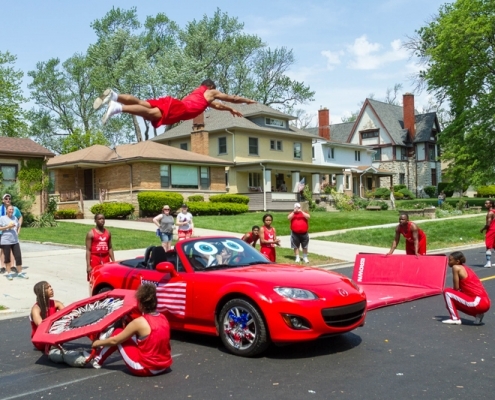 The Road Home Program at Rush University Medical Center is presenting sponsor of the Parade. 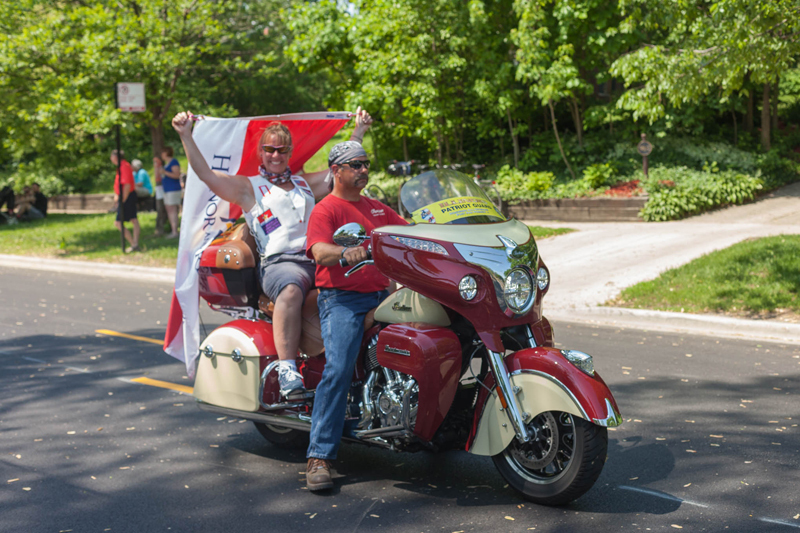 The program provides vital services to men and women returning home from military service, focusing on healing the invisible wounds of war, such as PTSD, and helping soldiers transition back into civilian family life. 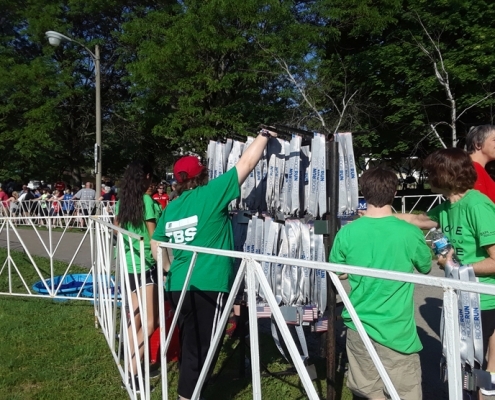 Ridge Run sponsors help to ensure the success of the event. 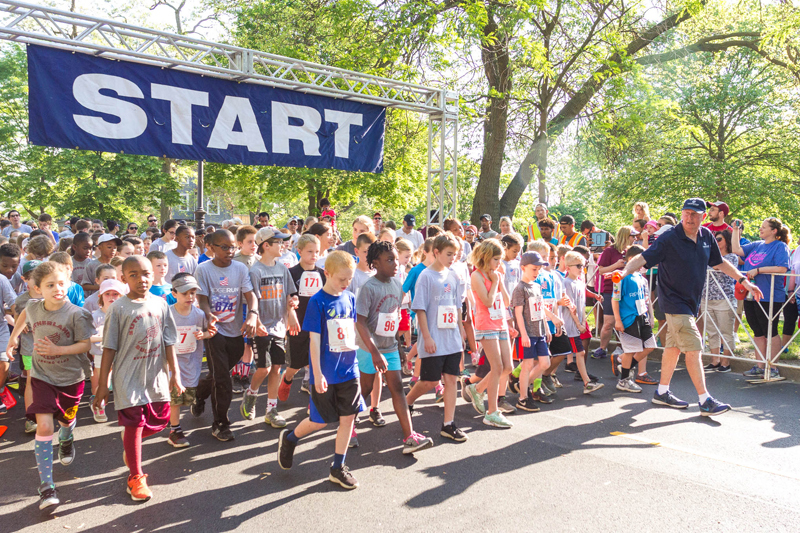 Thank you to Little Company of Mary Hospital, Mike Haggerty Buick GMC Volkswagen of Oak Lawn, Beverly Bank, Road Home Program, Southtown Health Foods, CIBC, County Fair, 19th Ward Youth Foundation, Marquette Bank, State Rep. Fran Hurley, State Sen. Bill Cunningham, Chicago Park District, McCready Law, 670 Score Sports Radio, State Farm Agent John Harrell, TreadFit Beverly, Chicago Recovery Room, Calabria Imports, Running Excels, The Beverly Review, 100.3SheChicago, Trace Ambulance, Marathon Sportswear, Beverly Records, Cork & Kerry, Haribo, and Original Rainbow Cone. 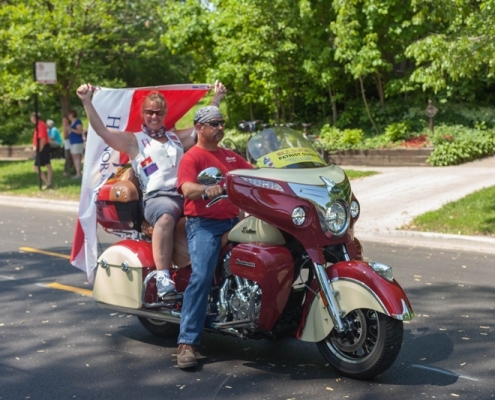 Do you have great pix from the Ridge Run and Parade to add to our gallery? 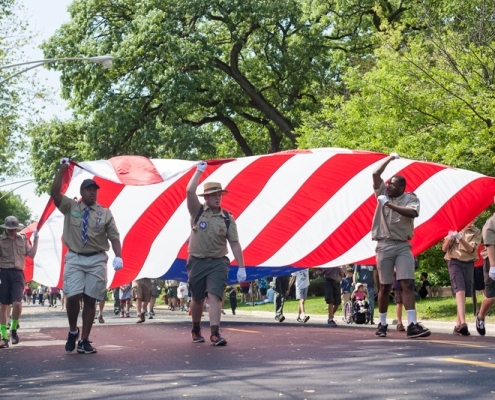 Email them to bapa@bapa.org. 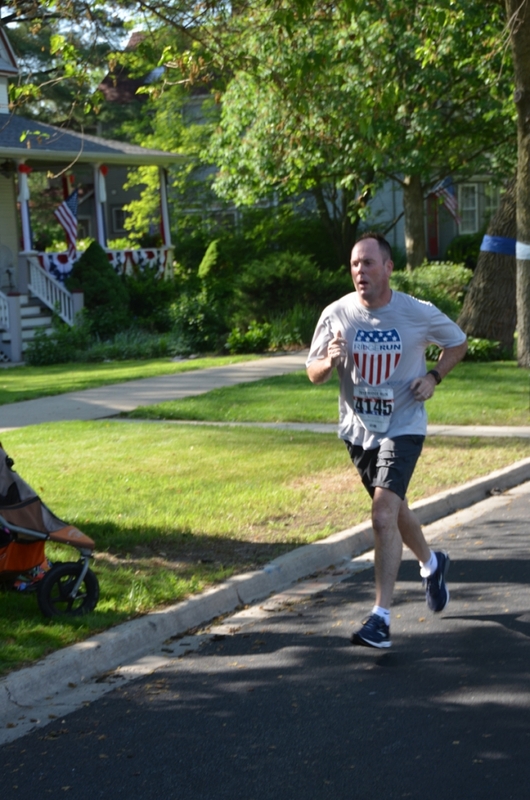 Thank you to our photographers: Rebeccca Healy, Marty Williamson and Michael Rudd.